Schiaparelli’s scientific interests covered many topics, from planets to asteroids, from double stars to geodesy, from meteorology to the history of astronomy. He became famous worldwide with his scientific results on the connection between comets and meteor showers, the rotation of the planets Mercury and Venus, and in particular the characteristics of Mars. One of his first discoveries was the small planet named Hesperia. Schiaparelli studied in 1862 the meteor shower of "Perseids". They originate from a point near to the Perseus constellation. Taking into account this point and the velocity of the meteors he estimated the elements of the orbit of the shower, and remarked the unquestionable coincidence with the orbital elements of the comet Swift-Tuttle, with a period of 121 years. That is, the Earth during its annual revolution crosses the orbit of the comet (around 12th August) which coincides with the orbit of its debris. He studied also the meteor shower of Leonids, and demonstrated their similar link with the comet Tempel�Tuttle, with a period of 33 years. His account is contained in a series of five letters to Padre Secchi, dated from september 1866 to february 1867 and published in the Bullettino Meteorologico del Collegio Romano. In a communication to Astronomische Nachrichten he sums up his results with this question: "Must we regard these falling stars as swarms of small comets, or rather as the product of the dissolution of so many great comets? I dare make no reply to such a question". From his numerous observations of Mercury, Schiaparelli concluded that there is a tidal link between this planet and the Sun as in the case of the Moon and Earth, and that Mercury rotates in such a way that the same side always faces the Sun (tidal locking). This was a very important result, though we know today that the dynamical behaviour of the planet is more complex. 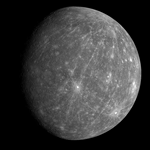 In 1965 with the radar astronomy it was possible to discover that Mercury rotates with a period of about 59 days, shorter than the orbital period of about 88 days. In this spin-orbit resonance two orbital periods are equivalent to three rotational periods. As for Mercury, on the basis of his own observations Schiaparelli proposed a rotation period for Venus equal to the sidereal revolution of about 224 days of the planet around the Sun. Today we know that the planet rotate a bit more slowly, but the rotation is retrograde. From 1875 to 1900, Schiaparelli observed many hundreds double stars with the Brera equatorial telescopes of 8 and 18 inches, for a total of more than eleven thousand measurements. The determination of the orbital elements from the observed positions allows the estimation of the mass of the stars. His long series of high-class observations bear witness to the great power of work with which Schiaparelli was endued. Schiaparelli is also remembered for his works on the history of astronomy. 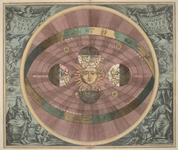 In particular he worked on the astronomy of the Greeks, on the explanation of the model of the homocentric spheres of Eudoxus, and more generally on the investigation of the theories of solar system by the forerunners of Copernicus among the ancients. After his retirement, Schiaparelli devoted a lot of time to study Babilonian Astronomy and the astronomy in the Old Testament. He was a profound theological scholar, knew all the sacred books of the principal religions, and mastered not only Latin and Greek, but also Hebrew and Akkadian language. To learn more on his studies of the planet Mars, see the web project "Le Mani Su Marte" a digitalized reproduction of Schiaparelli's diaries with his observations from 1861 to 1900. Here we recall that the topography of the planet maintains many of the names introduced by Schiaparelli to these days. To learn more on his studies of the planet Mars, see the web project "Le Mani Su Marte" (http://www.brera.inaf.it/docM/OAB/MARTE/index_marte.html) a digitalized reproduction of Schiaparelli's diaries with his observations from 1861 to 1900.